A group of people planning ahead for their retirement moved a step closer this week to building a new community in Colchester, Essex, by putting the contract for their project out to tender. 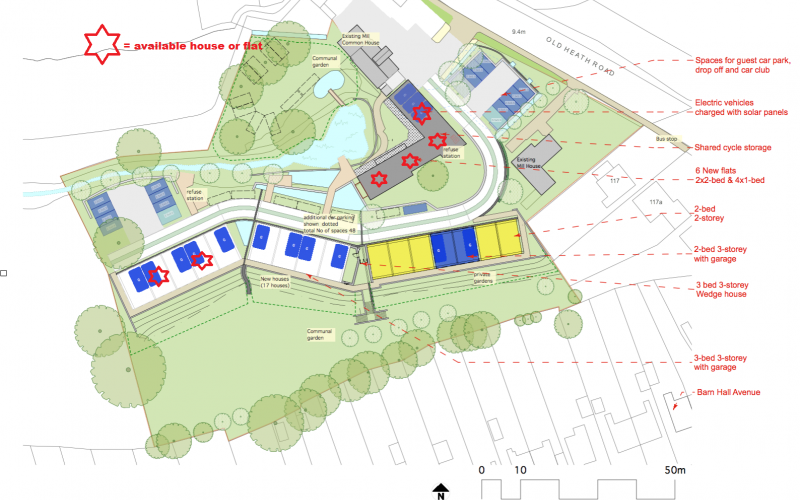 Members of Cannock Mill Cohousing are creating one of the first cohousing communities in the UK aimed at fostering active ageing in a caring, sharing environment at Cannock Mill in the Old Heath area of Colchester. Four companies have been invited to tender for the contract to build 23 houses and flats to rigorous Passivhaus standards that ensure a very high level of energy efficiency. The homes, most of which already have prospective owners, have been designed by award-winning eco-architect Anne Thorne, who is herself a member of the group. At Cannock Mill, the Grade II listed mill will become the common house and will include space for the group to share meals and leisure activities, as well as guest accommodation and a cycle store.